The theme for this year’s annual meeting of the World Economic Forum which was ‘Mastering the Fourth Industrial Revolution’ was rather brave! Brave considering the backdrop of China’s economic slowdown, rock-bottom oil prices, fear of an impending economic recession and growing threat of terror groups. The most critical word in the theme seems to be ‘mastering’. For a business to sustain till the fourth industrial revolution it needs to be master the art of managing risks. In the State of Civil Society Report 2015 Darren Walker (President, Ford Foundation) wrote about the need for a stronger civil society. He also stressed on the need for the civil society to redefine its way of working. What I liked most about the essay was his emphasis on the need to change donor behavior. Bringing about social change can be anything but simple. 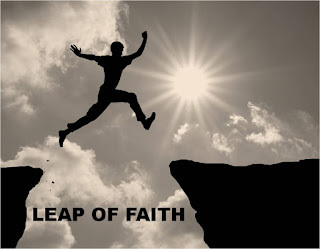 But the basis of and belief in bringing about change has to simple. 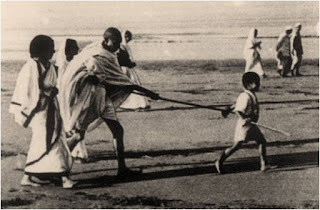 When I read about India’s freedom movement one thing that strikes out is Mahatma Gandhi’s simplicity. It also shows that if people believe in change even ubiquitous items like a lathi (stick) and a charkha (spinning wheel) can do the job. Imagine if Gandhi had to focus his energies on showing his efficiency, developing monitoring and evaluation reports and ensuring budget utilization. People believed in the idea of change and trusted their leader that’s it. So finally we have a legislation in place that mandates 2% spending on CSR. Consulting firms and NGOs are gearing up their strategies to leverage this opportunity to meet their respective (and perhaps contrasting) goals. Companies are trying to put in place systems to meet this new compliance. All good so far. What’s concerning me is the fact that corporate responsibility is now compliance driven and not value driven. In essence the mandate implies that a company needs to be responsible only when it is profitable. It may also imply that the 2% compliance will become a yardstick for the balance 98%. 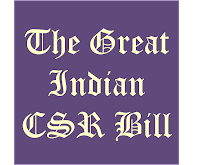 On Thursday Rajya Sabha (Upper house of Indian Parliament) passed the much awaited Companies Bill which mandates for-profit companies to spend on corporate social responsibility. its Corporate Social Responsibility Policy. Istanbul is a city that shows a unique blend. A blend of continents, culture, tradition, architecture, people and religion. Istanbul is a city with a big heart and there's enough room for everyone and everything. It has the right reputation of being a cultural and ethnic melting pot. 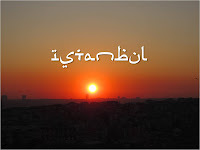 As most of you know Istanbul is spread across the two continents of Europe and Asia. The two continents are culturally so different yet in Istanbul the cultural differences blend. The two sides are separated by the beautiful Bosphorus strait. A 10 minute ferry ride takes you from Europe to Asia. Perhaps, the best view of the European side of Istanbul is from the Asian side. The history of Turkey spans across the Byzantium, The Roman Empire, The Byzantine Empire, The Latin Empire, The Ottoman Empire, Republic of Turkey and the Turkey of today. The cultural mix is most visible in the city's architecture.